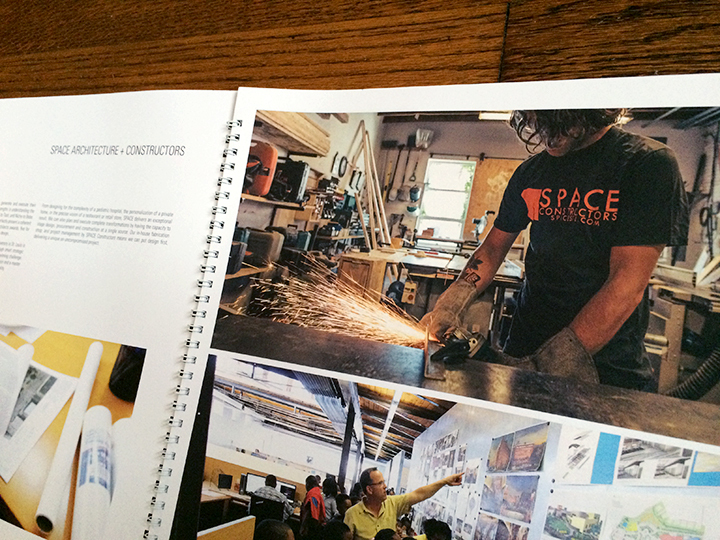 2015, at SPACE Architecture + Design. 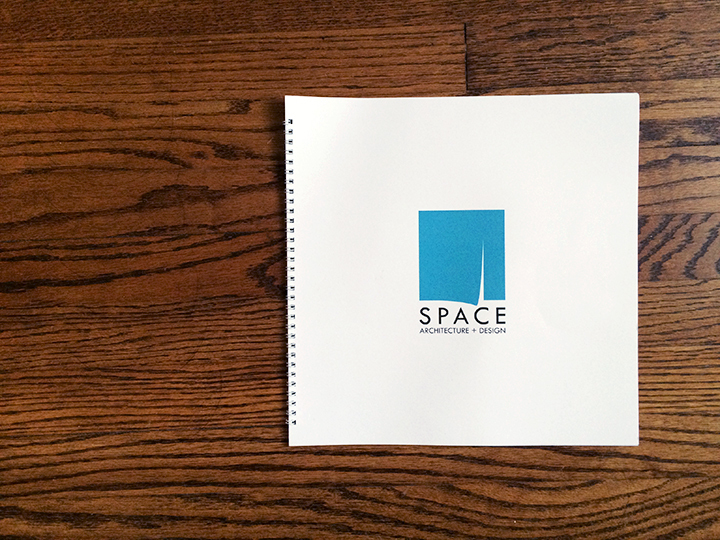 Our owner and founder, Tom, needed a document to showcase our work and what we could do for prospective clients; something we could design in-house and print cheaply, but that would stand out among materials clients received. 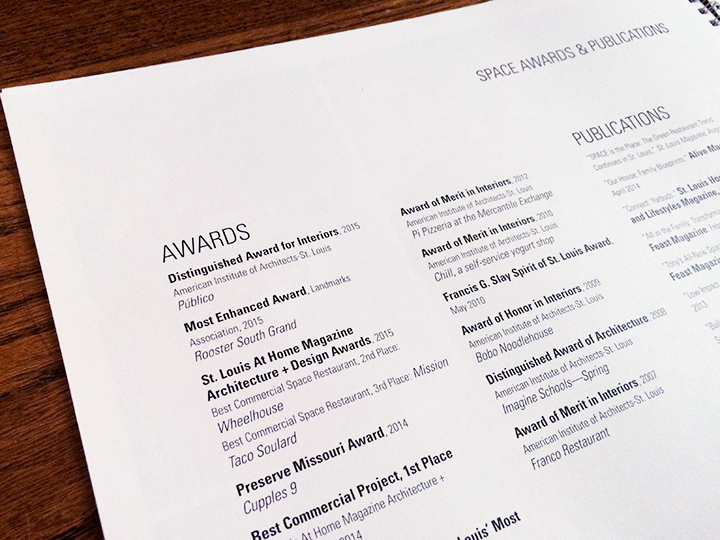 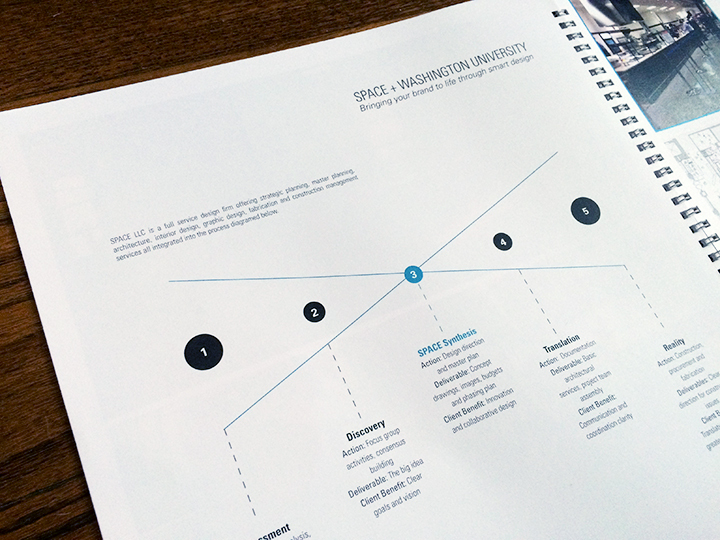 I designed the template for our proposal brochure based on the SPACE branding style with an idea of clean minimalism. 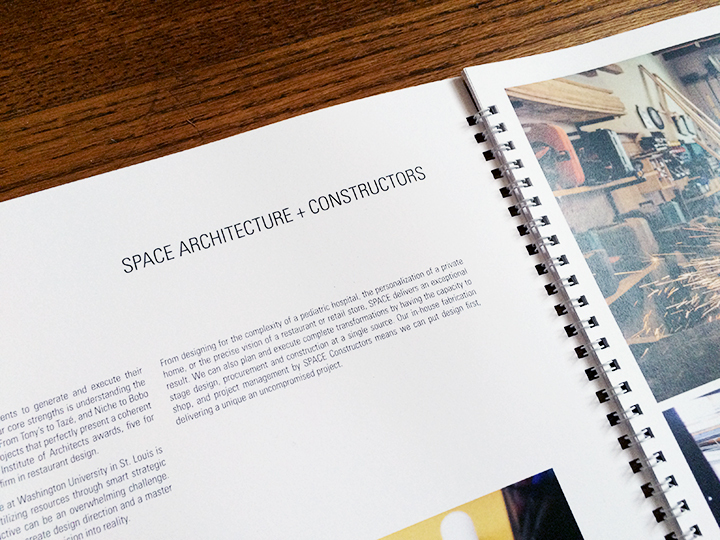 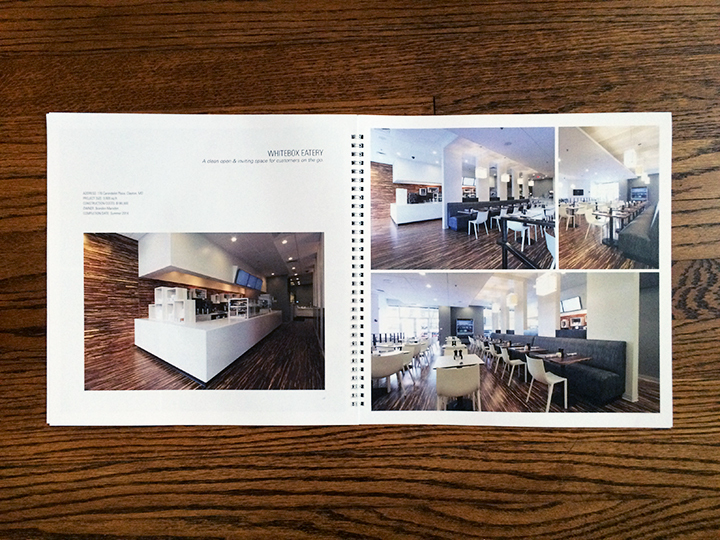 I would then edit the brochure for content, working with Tom and other architects and designers, for each client. 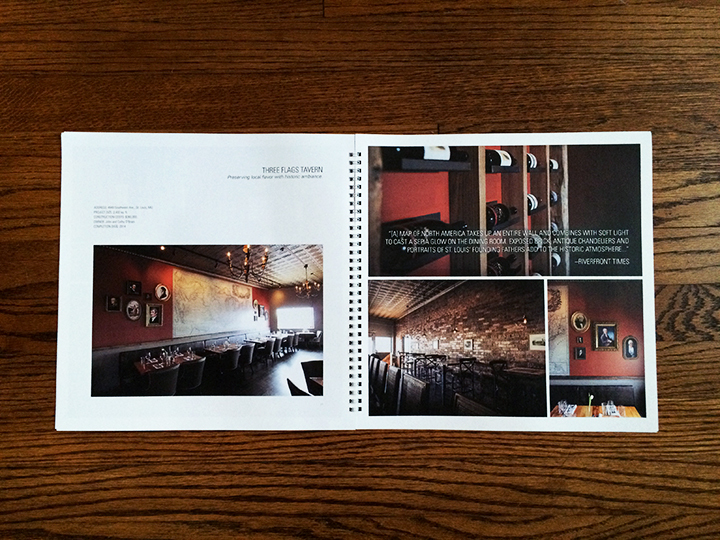 I also provided some of the photography and copy.